We Have the Perfect Condo for You to Relax, Refresh, & Enjoy the Marco Island Lifestyle! Welcome to Paradise on Marco Island! Welcome to paradise on Marco Island! We would like to invite your family or friends to be our guests at the Somerset, one of Marco Island’s most luxurious gated beachfront condominiums. Our condo unit (Somerset 601) is located at the south end of Marco Island and boasts the largest private beachfront on the island. Located on the 6th floor, the spacious lanai faces the Gulf of Mexico and provides panoramic views of the beach in either direction. 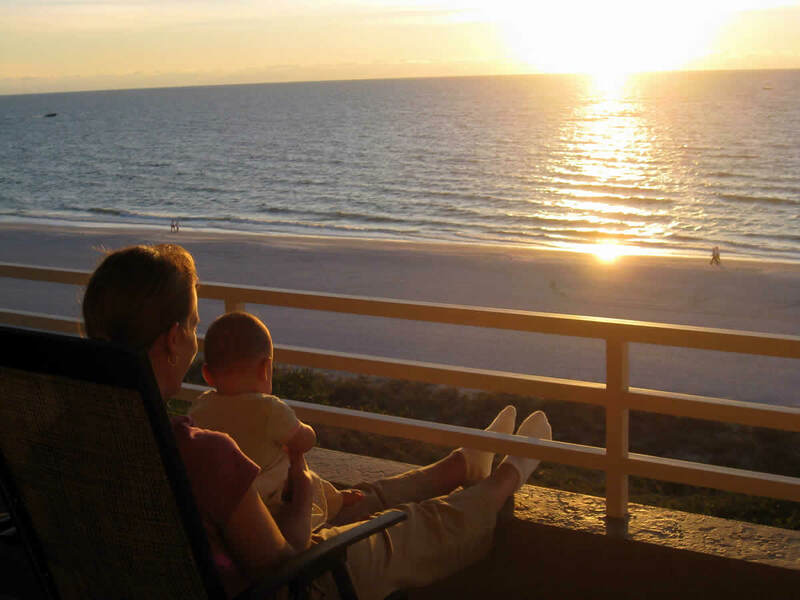 Our family and guests find this the best location to watch Marco’s spectacular sunsets or to watch dolphins play in the emerald green Gulf of Mexico. You will enjoy the tropical ambiance of our recently remodeled, luxury three-bedroom, three-full bath, beachfront condo. Our condo is a spacious 1673 sq. ft. that has two master suites with king size beds, and the third bedroom has a king size bed with a bath conveniently across the hall, a fully equipped kitchen, a large living room, dining room, laundry room and a 253 sq. ft. lanai overlooking the entire beach. With beautiful decorations and furnishings throughout, maintaining our South Florida theme is what it’s about. There’s a Gulf view from every bedroom! The two beachfront master suites have an incredible ocean view along with direct access to the lanai (one private) which allows you to open the doors and listen to the gentle break of the waves all night long! Each features En-suite bathrooms. The fully equipped kitchen has modern appliances and a large breakfast bar with views of the ocean. The condo also has a walk-in laundry room equipped with washer and dryer located within the unit. The Somerset 601 is our family’s second home and includes amenities such as the free wireless Internet, a DVD player, a flat-screen TV in each bedroom, iron and ironing board, basic toiletries and covered parking. For your convenience, linens, and towels are provided for the bedrooms, bathrooms, kitchen, and beach. Please note that this rental is a non-smoking unit. Now’s the perfect time to reserve our condo for you next vacation to Marco Island.